So if you are buried in paperwork? Losing track of invoices, payments and documents? iInvoicing is simply the system for you. Create, manage, share, and store invoices as well as statements, credit notes, demand letters and CRM information in one central system. There is no learning process and a new user can use this invoice system immediately. You don't have to understand accounting or have ever created an invoice. Keep records of all correspondence with clients with an easy-to-use Customer Relation Management tool (CRM). Enter payments, know exactly who paid and when. Be organised for your accountant. 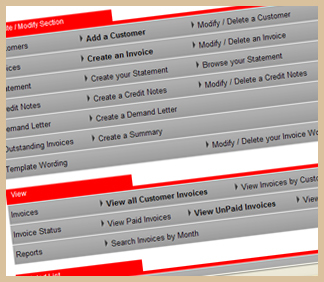 This system will not only save you time and money when it come to invoicing and chasing but keep you organised... Your accountant will love you!